PIV measurements require a light sheet with well-defined geometrical characteristics and intensity distribution. ILA_5150 offers a range of integrated LSO that are compact, modular and simple to adjust. Our LSOs are compatible with all commercial Nd:YAG lasers with energies up to 600 mJ/pulse, especially recommended for lasers with high divergent beams due to the special collimator design. 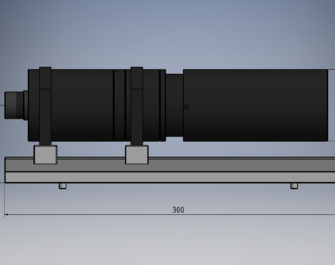 The collimator allows to focus the light sheet down to a thickness of less than 1mm while the axial position of the focal point can still be adjusted.